U.S. crude oil futures extended gains on Friday to take their weekly rise to more than 4 percent on hopes of a global deal between oil-producing countries to help tackle a growing supply glut. 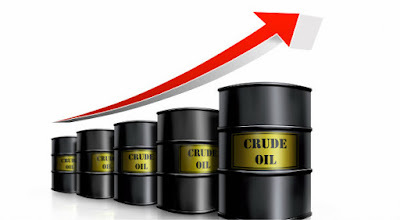 U.S. crude climbed 32 cents at $33.54 a barrel as of 2338 GMT, after it settled up 92 cents, or 2.9 percent, at $33.22 per barrel, down from a high of $34.82. Global benchmark Brent ended up 79 cents, or 2.4 percent, at $33.89 a barrel, after trading as high as $35.84. "Despite the unlikely scenario of supply cutbacks in the oil market, prices have found some support above $30 a barrel. We believe this basis is fragile, with fundamentals expected to weaken in the coming weeks," ANZ said on Friday. "We think the likelihood of an agreement between producers is extremely low. In the absence of a supply cut, there is further downside risk to prices in the short term." Brent futures rallied as much as 8 percent after Russia said on Thursday that OPEC's largest producer Saudi Arabia, had proposed oil production cuts of up to 5 percent in what would be the first global deal in over a decade to help clear a glut of crude and prop up sinking prices. "We remain highly skeptical that such a meeting will result in credible cuts in supply; thus, we see this as nothing more than an attempt to shift market sentiment, and we do not expect that it will change the physical market imbalance," Barclays said, referring to meetings between OPEC members and Russia. "In our view, the price path implied by our forecasts, of Brent trading less than $40 a barrel for at least two quarters, is required for the balancing process to take place, paving the way for a more sustainable increase in prices." The rebound in the oil market lifted share prices on Wall Street and other stock markets in another rollercoaster session. European stocks fell on disappointing earnings reports. The dollar slipped on bets that interest rate hikes by the Federal Reserve would be more gradual than it has suggested.